The following documents are related to the Chicago Police Department reform efforts and will be updated periodically. On August 29, 2017, Illinois Attorney General Lisa Madigan filed a lawsuit to obtain reform of the Chicago Police Department. 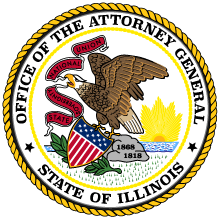 The Illinois Attorney General’s Office and the City of Chicago agreed to stay the lawsuit and negotiate an enforceable consent decree based on the findings of the Justice Department’s investigation and the Task Force’s report that revealed a pattern of civil rights violations caused by systemic deficiencies within CPD. On July 27, 2018 the Attorney General’s Office posted a draft consent decree for public comment, and on September 13, 2018 the Attorney General’s Office posted the proposed consent decree that was filed in federal court. As part of the process of drafting a consent decree, the Illinois Attorney General’s Office worked with community organizations throughout Chicago to hold 14 Consent Decree Community Roundtables. The purpose of these roundtables was to ensure that all interested Chicagoans had a meaningful opportunity to provide input on police reform. The Attorney General’s Office invited the Institute for Policy and Civic Engagement (IPCE) at the University of Illinois at Chicago to lead the community roundtables and present a summary report of key findings and themes from those conversations and other sources of input. IPCE’s report summarizes the ideas, concerns and experiences community members shared during the community roundtables, during a number of small group conversations, and through feedback forms available on this website and emails. The Attorney General’s Office also sought the input of CPD officers on the Department’s challenges and the ways to address those challenges through a consent decree. The Attorney General’s Office invited the Police Foundation, a national nonprofit, to facilitate a series of focus groups of sworn CPD officers. The Police Foundation’s report summarizes the key findings and themes from these focus groups. In 1994, following the Rodney King incident in Los Angeles and subsequent focus on how the federal government could better address police misconduct, Congress passed a law giving the U.S. Department of Justice (DOJ) the authority to sue state and local governments to ban patterns or practices of unconstitutional policing, including the use of unnecessary or excessive force and discriminatory policing. Since then, DOJ has conducted more than two dozen investigations of law enforcement agencies throughout the country, including the Chicago Police Department. Following the November 2015 release of the video showing the fatal shooting of Laquan McDonald by a Chicago Police officer, Chicago Mayor Rahm Emanuel appointed a Police Accountability Task Force (PATF) to review the system of accountability, oversight and training for Chicago’s police officers. In April 2016, the Task Force released a report with more than 100 recommendations for reform.